If you have just a few days to explore Ireland, you’d better make the most of it! That’s certainly what CAA Travel Consultant Anne Frank decided to do when she found herself on an elegant Insight Vacations coach, rolling into Dublin. With a day all to herself, she wandered the old streets, exploring everything from churches to museums and pubs, ending up, of course, at the world famous Temple Bar, where she discovered, it’s very hard to get a seat – even in the middle of a weekday afternoon! To console herself, Anne walked a bit further to a spot she knew for certain would have lots of beer – the Guinness Museum. A safe city for walking and exploring, Dublin charmed Anne with its blend of old and new. Ancient cathedrals rubbed shoulders with bold new building designs, creating a vibrant mix of architecture. Though Dublin was definitely a high point on her itinerary, Anne was most captivated by the countryside. From her luxury coach’s windows, the scenery was stunning. Though she certainly already has the gift of the gab, Anne still made the trip to Blarney Castle, where she hung upside down with all the other eager tourists, puckered up and kissed the fabled Blarney Stone. 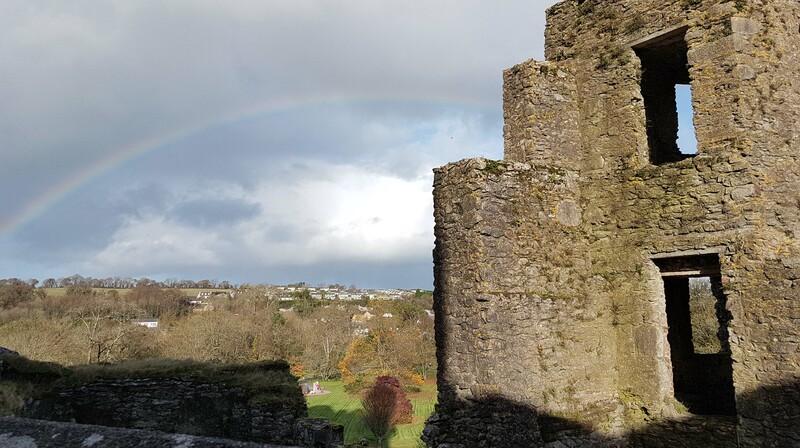 The view from the parapets of the fascinating 600 year-old castle, which include 60 acres of spectacular gardens, made for fabulous Facebook and Instagram posts! The Cliffs of Moher in Galway, which soar 700 ft. up from the sea, were one of Anne’s favourite stops on the tour. Luckily, despite her whirlwind itinerary, Anne managed to hike part of the spectacular coastal walking trail where the rock formations towering over the sea are not to be missed. Perhaps the most memorable stop for Anne was Ashford Castle, a 13th century grand dame now completely renovated and repurposed to become a luxurious boutique hotel. Anne loved the Insight Vacations small group approach. Though most groups are approximately 40 guests, hers included just 27 which made for lots of access to the well-informed guide. “She reminded me of Mary Poppins,” Anne recalls of the knowledgeable and friendly guide. While many people travel with partners, Anne noted that great efforts were made to ensure that solo guests were included in meals and other activities. Thinking of visiting the Emerald Isle yourself? Anne suggests bringing a good rain jacket and an umbrella so you’ll be prepared for the showers that keep the country so green. To hear more about Anne’s trip and to get started planning your own Irish escape, connect with Anne here.